The 2017 Allied Agent Convention was canceled due to its location being impacted by Hurricane Irma earlier this year. On Friday December 8, members of Allied Van Lines’ corporate staff visited Coleman Worldwide Moving’s corporate campus to deliver the awards it could not reward at this year’s convention. Lesli Bertoli, Vice President and General Manager for Allied Van Lines, highlighted many honors for the Coleman team including two of its annual top awards. The first award was for 2016 Corporate Agent of the Year. The honor acknowledges success, growth, and strong quality for national account sales and would be the first time Coleman has received the award. 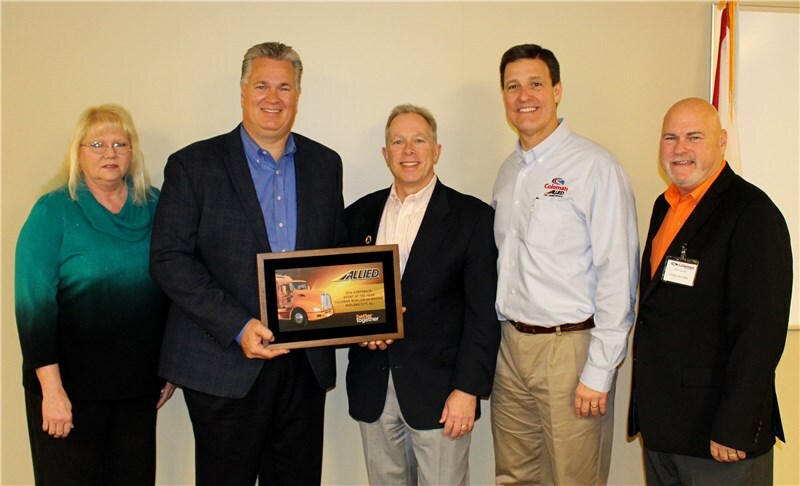 Bertoli and Allied Van Lines also presented Coleman Worldwide Moving with its Outstanding Sales Achievement award. The honor acknowledges top overall sales combined between consumer and corporate channels among the Allied network. Sharon Bitzer, Vice President of Consumer Sales, came up and accepted the award.